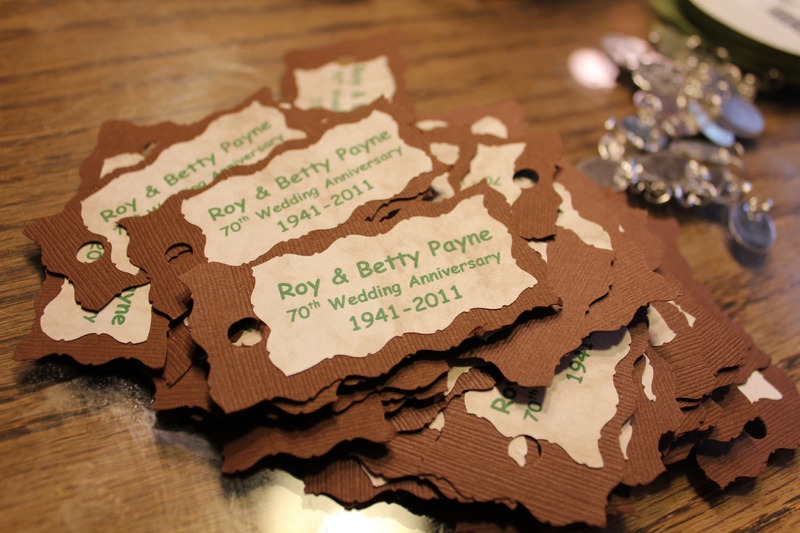 Once again, my mom and I got this idea from a close friend and we could NOT resist making them for my Grandparents 70th Wedding Anniversary. Party favors can be hit or miss. . . and can most definitely be a waste of money. 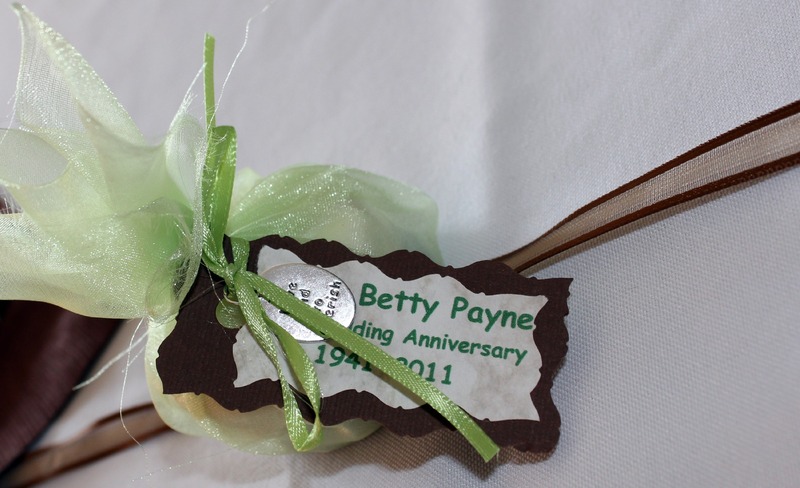 Edible party favors are almost always a hit. . . cupcakes, custom candy bars, white chocolate covered Oreos?! Oreo’s, your choice in flavors and quantity! Simply melt chocolate. 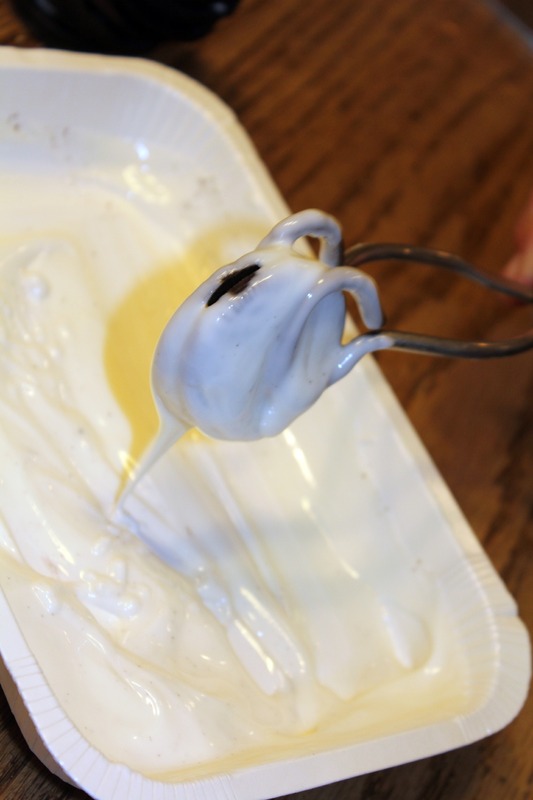 If you are using white chocolate chips, melt using a double boiling system* as to not burn the chocolate. 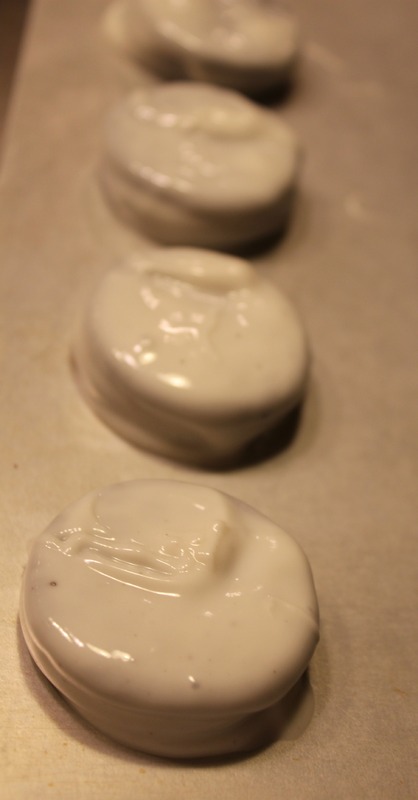 If you get the easy to melt vanilla candy coating, follow package instructions in the microwave or oven. Grab some tongs and open up your Oreos. 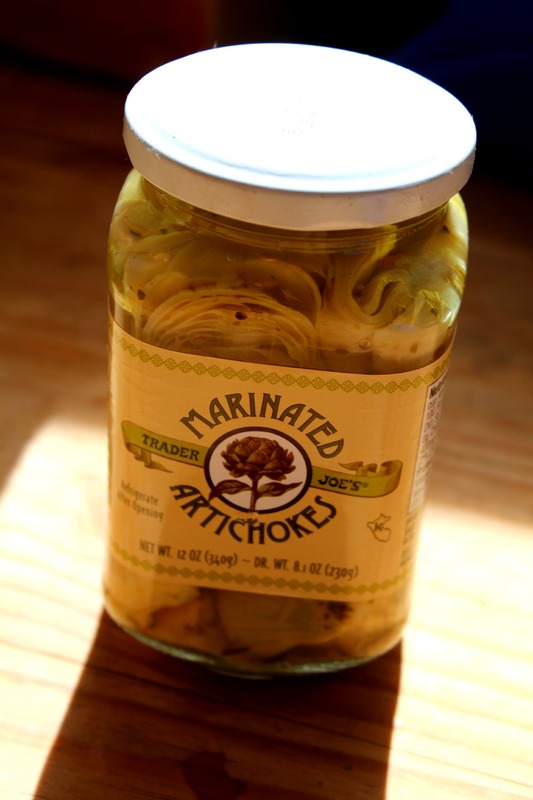 . . and DIP IN! 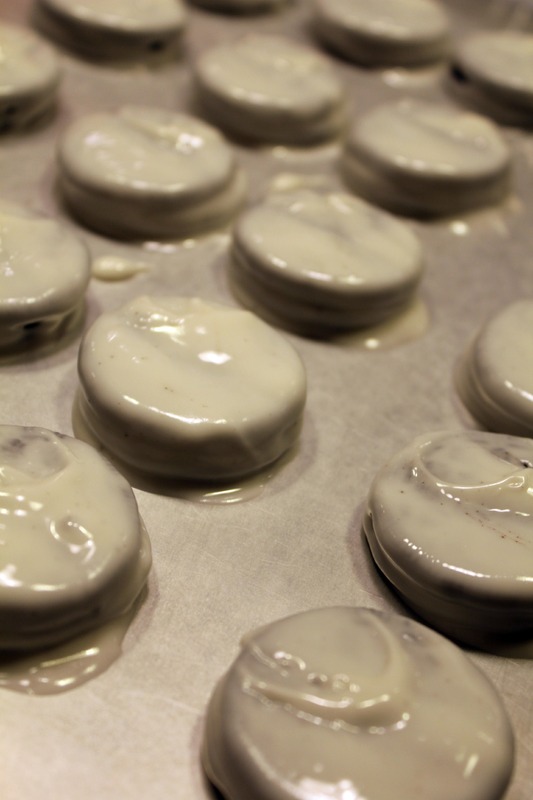 Roll Oreos around and then place on wax papered cookie sheets to cool. Let set for 12 hours before packaging. For easy instructions on double boiling chocolate. . . click here. Choose a color-coordinated sheer fabric or pick up sheer, drawstring sacks at Michael’s or JoAnns. Place two Oreo’s in the fabric, tie with ribbon and add a tag for the occasion. 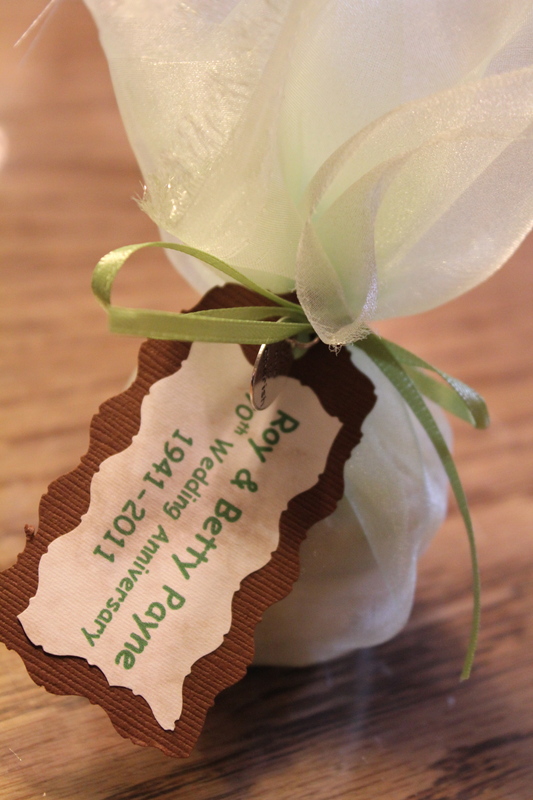 The favors are so delicious, I doubt they will make it out of the party without being devoured! Going to a St Patty’s party or having a get-together at your house? 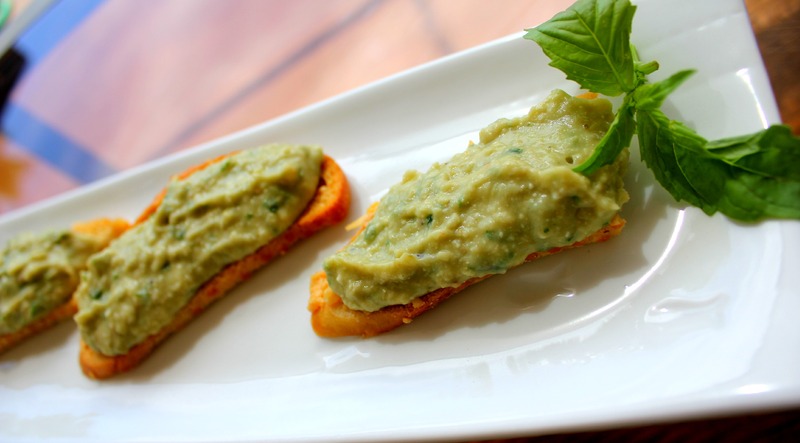 Try this unique Irish cocktail and green appetizer for a little something different. Combine all in the food processor. 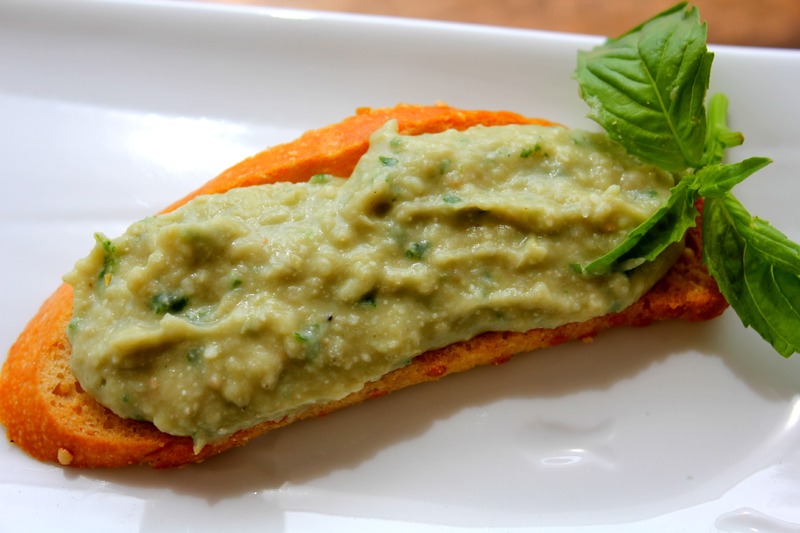 Mix until basil is spread throughout and color becomes light green. 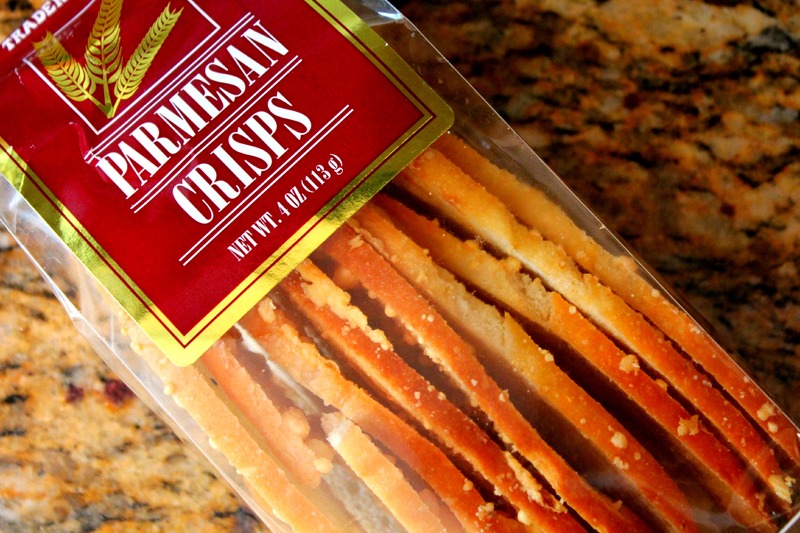 Serve atop crusty bread or these delicious parmesan crisps from Trader Joe’s.